Avery remembers nothing from the night her parents died. One day she's just a normal girl, living deep in the woods, and the next her her parents are murdered, she's sent to live with a grandmother she hardly knows anymore, and is plagued my vague recollections of flashes of silver and whispers of creatures that are part human, part wolf. Then she meets Ben, who seems to know exactly how she is feeling and shows up whenever she ventures into the forest. His dire warnings and the itching feeling that he knows more than he is letting on leads Avery on a search for the truth that will uncover much more than just her parents' killers. Low Red Moon is a tense and electric mystery whose supernatural elements and haunting, beautiful prose will remind readers of Shiver. Devlin writes very convincingly of grief and confusion as Avery explores her memories and struggles to make sense of what happened the night her parents died. Avery's pursuit of the truth uncovers some surprising facts and leads to some great romantic tension with Ben, though their romance does fall a little flat as Devlin doesn't give much of a basis for the intensity and passion behind their sudden connection. However, her parents' deaths do lead her to repair the relationship with her grandmother that Avery gave up on a long time ago, and that aspect of the book is great to watch develop. The plot does seem to meander a bit toward the climax, though Devlin does throw in quite a nice twist that isn't without irony and packs in plenty of suspense. However, the ending paragraphs seemed completely uncharacteristic of the entire book, and leave the reader with a smile, but also make the book seemed disjointed. 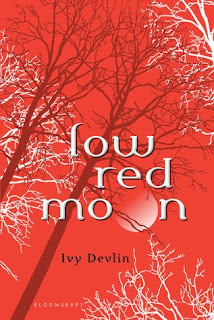 Devlin's Low Red Moon is an atmospheric and intriguing paranormal read, but it doesn't quite flow right, making it fall flat. Cover Comments: I love the layers of trees and shadows on the cover a lot. It reminds me of the covers of Maggie Stiefvater's Shiver and Linger . However, the font of the title looks dated and out of place. 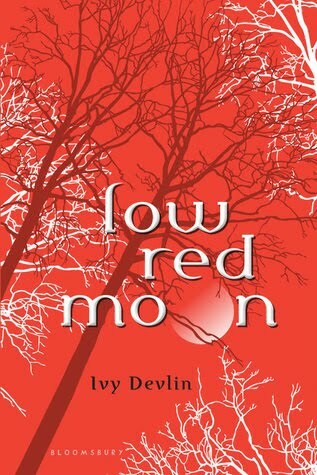 Low Red Moon will be available on September 14th, 2010. This one sounds good and I'm planning on picking it up when it comes out in the UK! Great review! Interview with Nancy Werlin and a Contest! Are You Ready For Your Last Hit? Win a Signed Copy of Mockingjay!